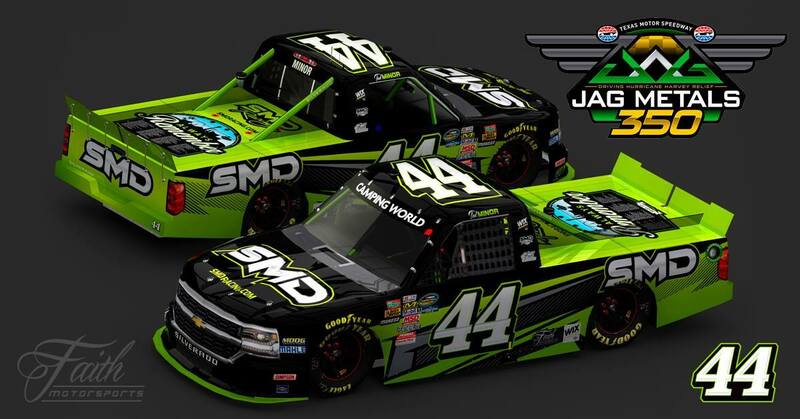 SOUTH CAROLINA: – Faith Motorsports (FMS) announced today that North Texas native Ted Minor will pilot the #44 SMD Chevrolet Silverado in the Camping World Truck Series race at Texas Motor Speedway on November 3rd. Shawn Magee Design (SMD), a North Canton, Ohio design firm and official graphics partner of Faith Motorsports, will serve as the primary sponsor in the JAGS Metals/Driving Hurricane Harvey Relief 350 in Fort Worth,Texas. “I’m excited for the opportunity to drive the #44 SMD Silverado in my home state of Texas,” said Ted Minor. This will mark Minor’s third start in the 2017 Camping World Truck Series season but his first start driving for Faith Motorsports. Ted started his racing career on Texas dirt tracks and has progressed to racing nationwide on asphalt tracks in the ARCA, USST series, super late models and the NASCAR Camping World Truck Series. In his 16th season as a NASCAR driver, Ted brings veteran experience combined with a youthful drive to succeed. 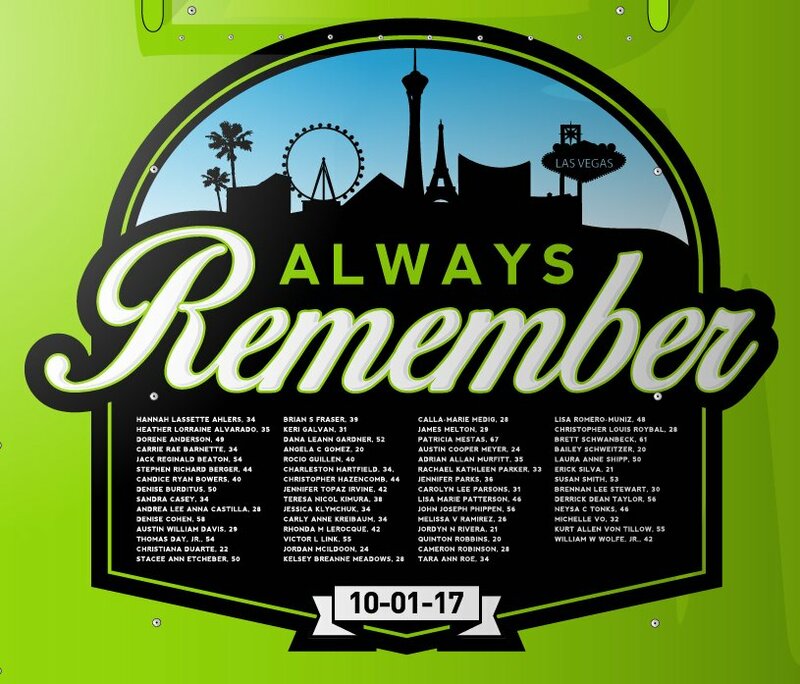 The #44 SMD truck will also feature a special tribute graphic on the deck lid honoring all 58 people who lost their lives in the tragic shootings at the Route 91 Harvest Festival in Las Vegas on October 1st. The Texas race marks the 3rd appearance as primary sponsor for SMD. The last time SMD raced as a primary sponsor was back in 2016 at Kentucky Speedway in the #74 Chevrolet Silverado of NASCAR veteran driver, Mike Harmon. Faith Motorsports owns and operates a 2 truck team (#44 & #62). Through a partnership with Martin’s Motorsports, the #44 is piloted by fellow Texas native, Austin Wayne Selffor most of the 2017 season.